Mduduzi Mlaba is the current President of the National Society of Black Engineers of South Africa (NSBE-SA) and the General Manager of RME – a Business Unit in Transnet SOC Ltd which is responsible for the rehabilitation, maintenance and construction of the Rail Network & Ports Infrastructure. He holds a B.Sc. degree in Electro-Mechanical Engineering from the University of Cape Town (1993 – 1996), a Post-Graduate Diploma in Nuclear Science (PBMR) from the University of the Witwatersrand (2001), a Post-Graduate Diploma in Management Advancement Programme (MAP51) from Wits Business School (2002), a Government Certificate of Competence – GCC Factories (2003) and is also registered with ECSA as a Professional Engineer (2001). Mr. Mlaba has over 21 years uninterrupted experience in the engineering profession. He started his career at Eskom where he worked in various roles as an Engineer-In-Training at Duvha Power Station (1997 – 1998), Plant Engineer at Kriel Power Station (1998 – 2000) and Senior Engineer at PBMR Client Office in Megawatt Park (2000 – 2002). Mr. Mlaba is no stranger to the private sector. 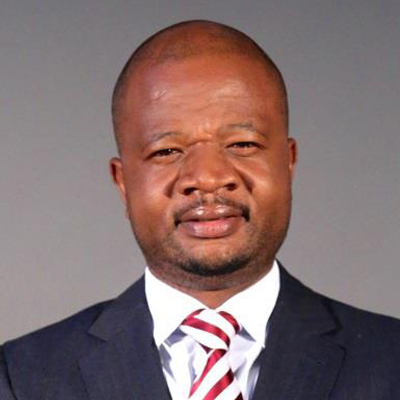 He worked in various roles as Area Engineer at Engen Refinery (2002 – 2003), Engineering Manager at ABI (2004 – 2007), Engineering Manager at Tongaat Hulett Starch (2007 – 2009) and Engineering Manager at BP Southern Africa (2009 – 2011). He joined Transnet SOC Ltd as a Chief Engineer in October 2011.